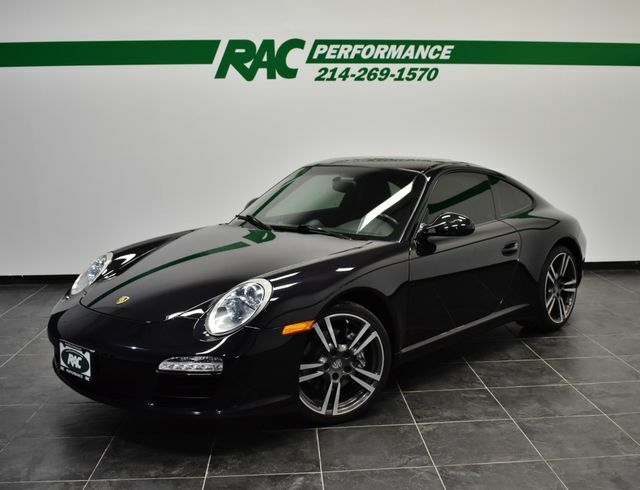 CLEAN CARFAX, 6-SPEED MANUAL TRANSMISSION, SPORT CHRONO PACKAGE PLUS, NEW REAR TIRES, FRESH INTERMEDIATE SERVICE, BOOKS + 2 KEYS, 911 CARRERA COUPE BLACK EDITION (LIMITED EDITION #0457), SPORTS TAILPIPES, CLEAR GLASS TAIL LIGHTS, SEAT VENTILATION, BLACK STANDARD LEATHER SEATS, BASALT BLACK METALLIC!!! This car has been inspected by our certified technicians and is ready to drive home. Upgrades are available at RAC Performance. TUNES, EXHAUST, WHEELS, TIRES and MORE!